Terry Darkman is originally from Detroit, with over 25 years of experience of tattooing in black and grey realism. One of the first African American artist to start early in the tattooing game has a first hand look at the change in this industry over the last 20 years. Terry is such a valued member of our family here at Sink or Swim. His loyal clientele speaks volumes, for they travel from all over to get worked on by him. He loves to tattoo human\animal portraits. We have nothing but the up most respect for this artist, and blessed to have him in our studio. Christopher Cox joined our team spring of 2016; already a great friend coming to hang out at the studio when he had time, we were able to know him before he started working here. A music lover at heart Chris was an electric guitar player in bands for several years before getting into the tattooing game. A well rounded artist, Chris mainly enjoys tattooing traditional tattoos, either color or black and grey. He always receives positive feedback from clients for his customer service. And we are glad to have him at Sink or Swim. Welcome a new member of the Sink or Swim family, Sam Limberti has joined our studio and is currently booking appointments. Recently travelled from Bronx NY, Sam is a Brazil Native with an optimistic attitude and a passion for realistic drawings. He specializes in Black & Grey realism. Sam is bi-lingual speaking both English and Portuguese, helping him extend his services to a diverse cliental. We are pleased to have him by our side, he is ready to give you a creative, meaningful piece of art work for you to cherish forever. Check him out on his social media outlets. 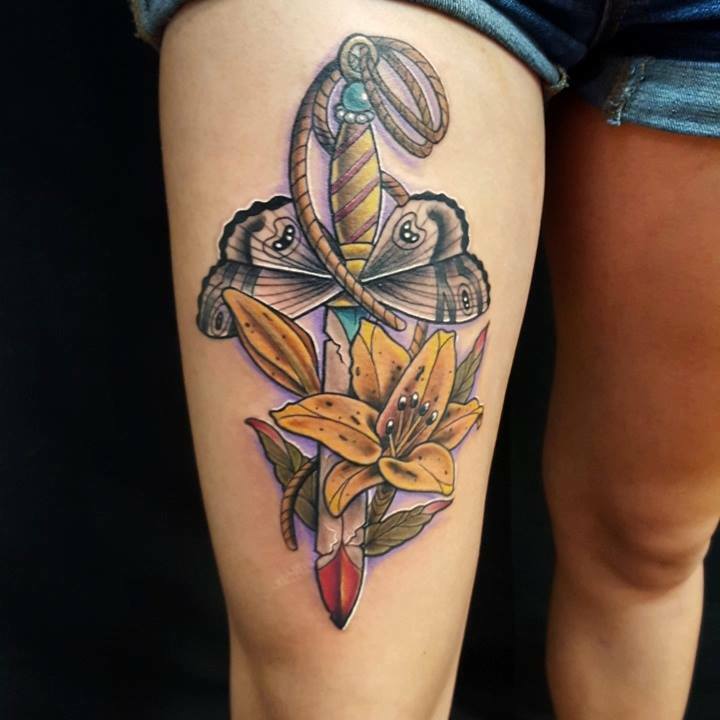 Born in Fort Mill, South Carolina, Elijah has been tattooing for the last six years. While spending sixteen months on the road participating in the convention circuit, he decided he wanted to build a place he could call home. A short time after, Sink or Swim Tattoo was born. Elijah enjoys producing geometric designs such as mandalas, dot work, and customizing patterns.